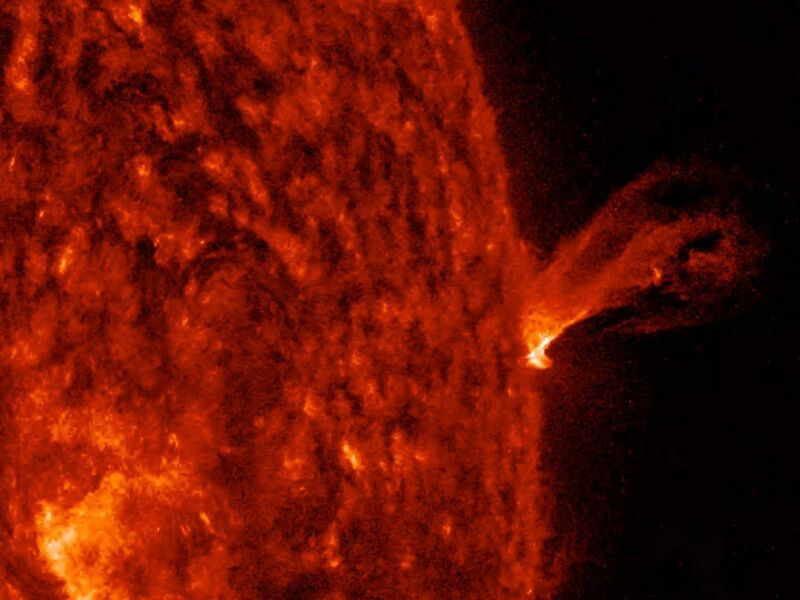 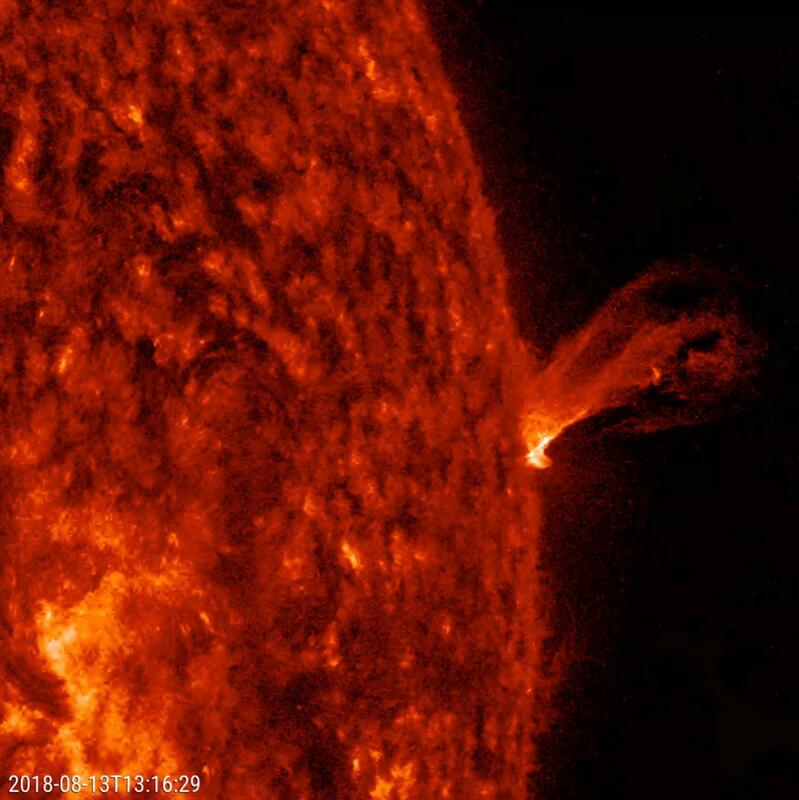 This close-up of the Sun from a two-hour period on Aug. 13, 2018 shows a minor eruption of charged particles rising up and twisting about before falling back into the Sun. 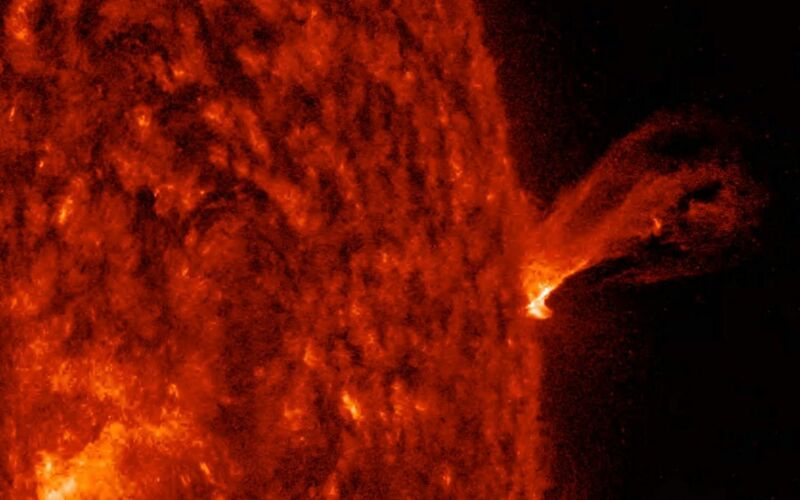 Imaged in extreme ultraviolet light, these kinds of events are difficult to see except when they occur along the sun's edge, also known as the limb. 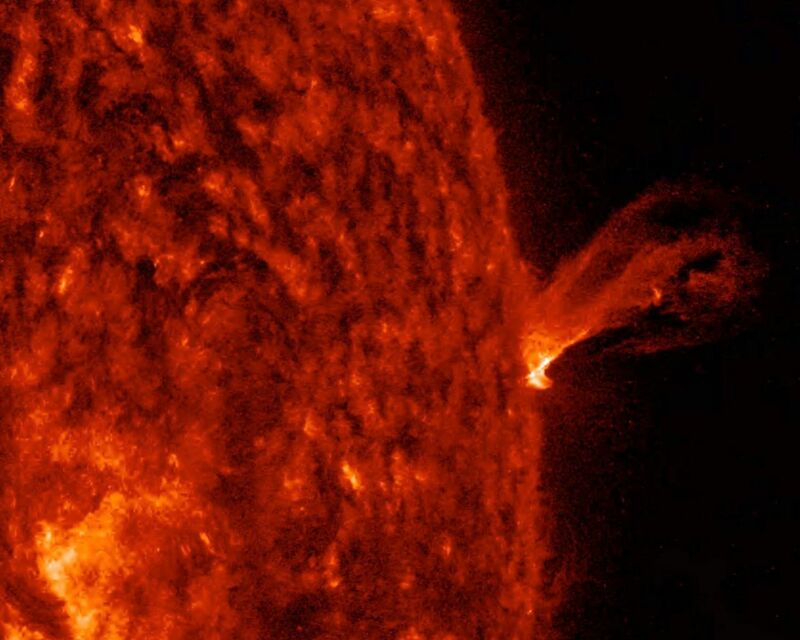 At its peak the plasma rises several times the diameter of Earth.